If you’re a die hard Dr. Who fan, you probably eat, sleep, and breathe Doctor Who. The eating part just got a little easier, because now you can have your very own cutlery set shaped like Sonic screwdrivers! 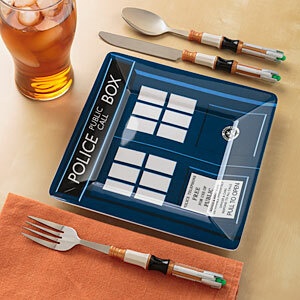 The set comes with a fork knife, and spoon inspired by The Doctor’s famous multi-function tool!